Do you share your laptop or PC with other users? How to protect your computer from any viruses, data theft via USB ports? Don’t worry, this tiny application can prevent your computer from data theft via USB or virus infection via USB enabled hardware. USB Port Disabler is a free, tiny application (1 MB in size) that can be used to disable your USB ports quickly. To block or disable your USB ports, simply click Disable USB from the main application. 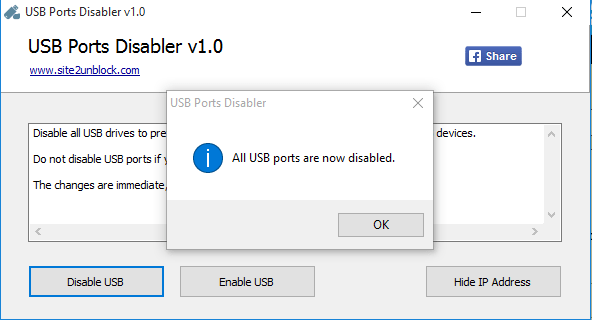 All USB ports on your computer will be disabled immediately without reboot. But there is one annoying thing about this software. The application is not protected with anything such as password or any other. So, anyone can enable or disable USB ports anytime. Its a bit silly and useless. 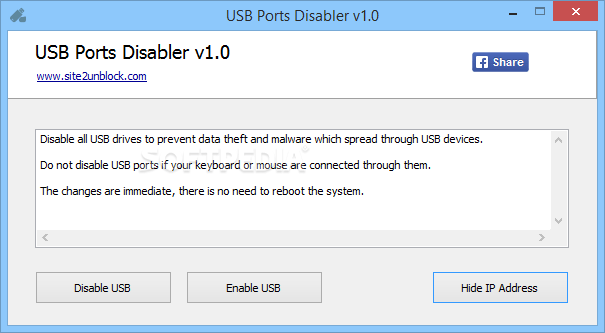 But anyway if you want to try it yourself, you can download this USB Ports Disabler 1.0 from this link.